Alan has been an English language teaching professional since 1989. Starting in language schools in Japan, he completed his MA TESOL with Teachers College Columbia University and moved into the tertiary sector. As Director of Programmes for the Japan Association for Language Teaching (JALT), he ran a series of very successful conferences and published three volumes of edited papers for the College and University Educators SIG: Content and Language Education: Looking at the Future, Developing Autonomy, and Curriculum Innovation, Evaluation and Testing. In 2004, he started working for the British Council in Thailand as an ELT project manager. After tours in India as a Senior Training Consultant and Pakistan, as architect and Director of the PEELI project, he became an Academic Director at NILE. 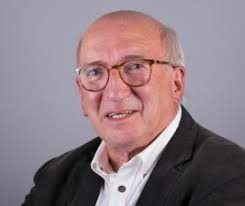 Alan is now a Senior Consultant for NILE and Module Leader for Developing Autonomy on the MA in Professional Development for Language Education. He has been advisor to the boards of Thailand TESOL, Philippines Association for Language Teaching (PALT), Society of Pakistan English Language Teachers (SPELT) and English Language Teacher’s Association of India (ELTI). He has also worked with multiple state ministries of education across East and South Asia. Alan is a member of Eaquals, IATEFL and BALEAP. Sarah has 30 years’ experience in business development and international sales and marketing. Currently Director and co-founder of TransformELT, she has been in ELT for 18 years, having held the previous roles of Marketing and Business Development Director. She holds a Diploma in ELT Management. In the field of global education management, her current areas of interest include Project Management, Educational Policy development, organisational culture and change management. As a former school governor and project manager on an Erasmus Plus project, she also has a particular interest in school development planning. Sarah has worked in China and Italy and has managed projects in Algeria, Ethiopia, Sengegal/Côte D’Ivoire, Sri Lanka and France. 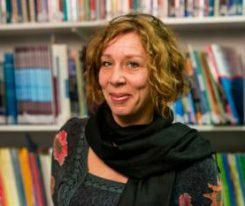 In addition, Sarah has lectured both in the UK and internationally on reader development and is a member of Eaquals and on sits on the IATEFL Conference Committee. Sarah is an avid reader, enjoys international travel and has an unhealthy interesting in curios and curiosities. 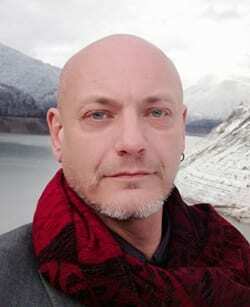 Alan has worked as a teacher and teacher trainer in Canada, Germany, Italy, Russia and the UK. He is a Senior Consultant for NILE, Programme Leader for NILE’s online Delta Modules and tutor for the Materials Development module on the MA in Professional Development in Language Education. He has been a consultant for the British Council on curriculum renewal, syllabus design, materials development and reader development projects in Bulgaria, Hungary, Poland, Russia and the UK. He is co-author of a number of coursebooks, including the award-winning Macmillan Short Course Programme and The TKT Course. His specialist interests are drama and literature in ELT and intercultural awareness. From 2000 to 2004 he edited IATEFL Conference Selections and from 2002 to 2006 he co-chaired the British Council Oxford Conference on the Teaching of Literature. Alan is a member of Eaquals, IATEFL and the C group.